Our Dallas Blogger Brunch at STIRR was one of my favorite so far! It's hard to believe that I've been hosting Dallas Blogger Brunch for 3 years now and each one gets better and our community gets stronger! We had the privilege of brunching in STIRR's new private room, which is actually huge and almost an entirely separate restaurant! This month, I partnered with Leslie, of Alice and Apricot to help make our tablescape fun and inviting, and it was the perfect touch to complete brunch. 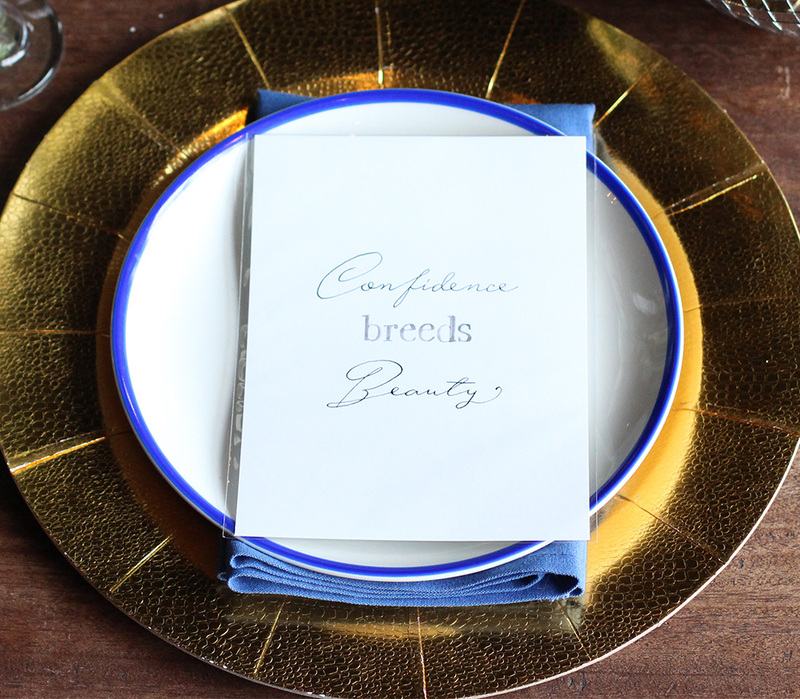 Leslie created watercolor quotes for each place setting and even personalized our champagne flutes to serve as place cards for the event. I love partnering with a local creative each month to show off their talent, and I am always blown away by their creations! I usually order something sweet like French Toast at brunch, but that cinnamon roll took care of that craving, so I ordered the Migas and I was not disappointed! So good, and pretty too! Just how I like it! These Tuna Poke Tacos were so tasty and the perfect item to share before your entree! The Deep Ellum Hash and STIRR Croissandwhich were other favorites that some of the girls ordered. Everything was delicious and we loved being able to stand up in the private room, take photos, and be loud without disrupting other guests in the restaurant! This is what bloggers in action look like- taking photos of everything, phones and cameras in hand. It always looks odd from the outside, but we get our shot and it is worth it! One of my favorite parts of brunch is getting to connect with new Dallas bloggers and taking Instagram relationships to real life friendships! 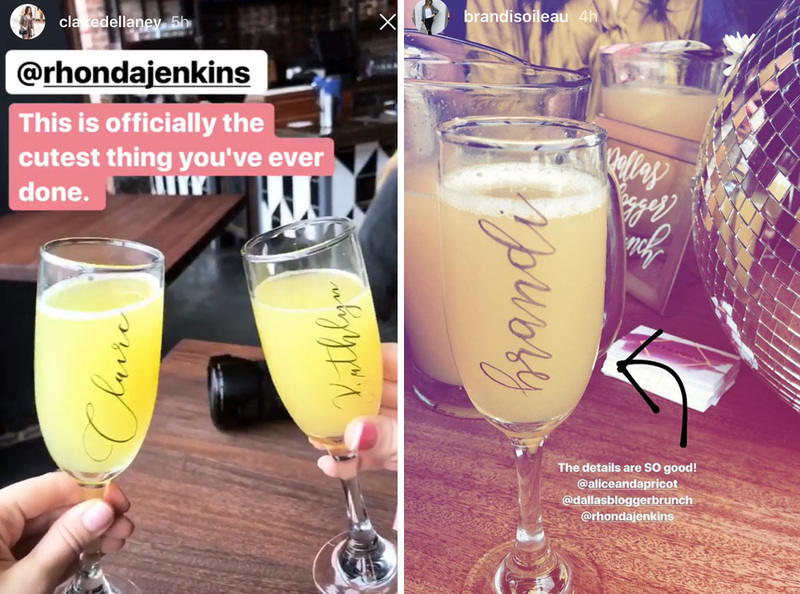 I love seeing everyone's Instagram stories after brunch- they are always so cute and do such a great job of showing all of the details! Below are the personalized flutes that Leslie created for each guest that were also taken home as party favors after brunch! Thank you to STIRR for hosting Dallas Blogger Brunch this month! If you haven't tried it yet, move it to the top of your list!